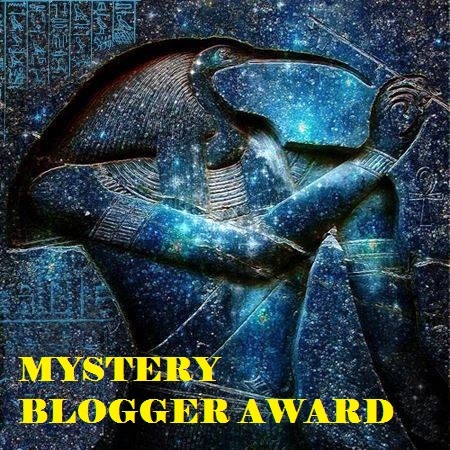 Thank you dear Anita Bowden for having nominated me for the “Mystery Blogger Award”. I consider Anita’s Bowden blog: One light.One source very much intresting. She writes with her heart about her own experiences and contributes with positive thoughts and words for a better world. Therefore, I recommend to visit her blog and find out yourselves her written treasures there. 1. I love to make trekking tours in the nature and feel one with the nature. 2. Practising spirituality is for me very important, not just to use words but to put all into pracice, help people, be friendly to them, not like making a show, but from the inner deep feeling that we all are one and therefore I think that kindness and friendly words have a positive impact. Love and respect should rule our lives. 3. I like travelling too and have seen already many countries in our world. 1. What did you spend your time thinking about as a child? Also at that time I enjoyed the nature. My parents used to have camping place on an island. There, we were a lot of children, gathered together, played games over the whole island and even when it was dark we played together using our torches. My thoughts were deeply absorbed in the nature, I loved little things, how the small waves smoothly arrived at the shore, how the wind rustles between the leaves, seeing the sunshine sparkling on the lake – this all went deep into my childhood. 2. Can you describe something someone did or said at any point in your life, that had the effect of changing or impacting your life? I remember I was about 15 years old and my parents and we children spent holiday in the country side. I was alone in my room in the hotel and woke up in the middle of the night, because I heard singing voices – I tried to make out from were they could come: surely it was not a radio or from outside – I could not find out from where these singing voices came. It was a beautiful chant similar like choral music and was sung by women, perhaps even nons (this came to my mind). After a while I continued to sleep and then I am not sure: was I dreaming, was I awake – I can’t tell with certainty. Suddenly I heard a strong voice, the voice appeared like coming from inside and outside at the same time. The voice was a male voice (I thought that it was like a voice coming from heaven). He told me vividly: “Think of your task…” – that was all – I did not hear more, but it was very impressive and left traces into my life up to now. Later I came to Unity of Man and found the sense and purpose of my life. So I am very thankful to my Master Sant Kirpal Singh Ji. 3. What quality do you admire most in others and why? I like honesty very much, respect and friendliness and patience, sometimes I can see and feel even the love in people’s eyes. This helps to build up confidence, harmony and understanding among people. 4. Is there a place you have visited that you would encourage others to visit, as well, and why? Yes, it is Kirpal Sagar which came into being through Dr. Harbhajan Singh and his wife Biji Surinder Kaur who were commissioned by Sant Kirpal Singh to build this place. It is indeed a wonderful place, like a small paradies, because all higher values can be obtained from there. Means, all religions are peacefully under one roof in respect and harmony. Help for poor and needy people are given there as well, through a hospital that we have built with many people all over the world joining this project. So needy people get free medical treatment and check-ups. Also operations are carried out there. Then there is an Old Father’s home giving space for about 1000 old people who can spend their evening of life in peace and even bring in their skills and experiences (so they still feel that they are of help for others) they have aquired during their lives. Then we find a big school over there with more than 600 students. They are taught the ethical values of life. There, many more activities are going on. Last but not least, it is a place where one can get the water and bread of life: Spirituality meant for developing ourselves through “Satsangs” = lectures given about the subject: “Man know thyself” in all its evolvements. And it is also possible to make a comparative study of the World Scriptures (holy books of different relgions in different languages, biographies and more). 5. When you look at the universe, what do you see? 1. What kind of hobbies you have got? 2. What is most important for you? 3. If you could bring in an new field of lesson in school-programme, what would it be? 4. How do you define love? 5. What means for you: “Man know thyself”? Thank you very much again, dear Anita, wishing you much love and peace in your heart. For all the nominees joining this Award: have much fun and enjoy it .